Property 3: Papamoa Beach_Break, modern, clean and inviting. Property 6: One bedroom flat. Borders reserve. 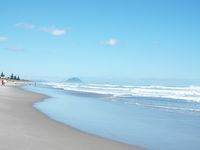 Property 21: Whitesands Beach House - 10% discount for May! Property 26: Beach, ocean, hills, shopping, it's it all here! Property 38: 1182Papamoa - Absolute Beach Front! 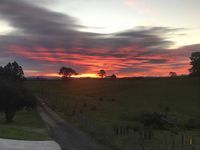 Property 39: Luxury in Papamoa - perfect for 2 families. Thoroughly enjoyed our stay. Nice lockwood home, althou because of the hot and cold weather had a bit of creaking and cracking late at night and early hours of the morning. Very comfortable 2 x bedroom home with a big lounge. Home in between tauranga and pukehina. Easy access. Plenty of feijoas, nuts.Thank you Rebecca.